Fist, make the sauce. 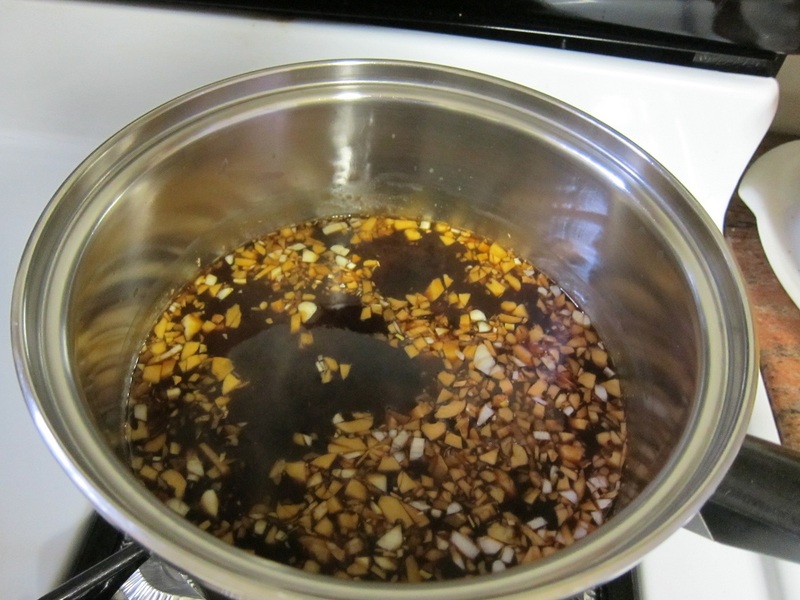 Bring the vegetable broth to a boil and then add the soy sauce, garlic, ginger, and sugar. Stir the mixture together. When it’s heated through and combined, remove from heat and set aside. 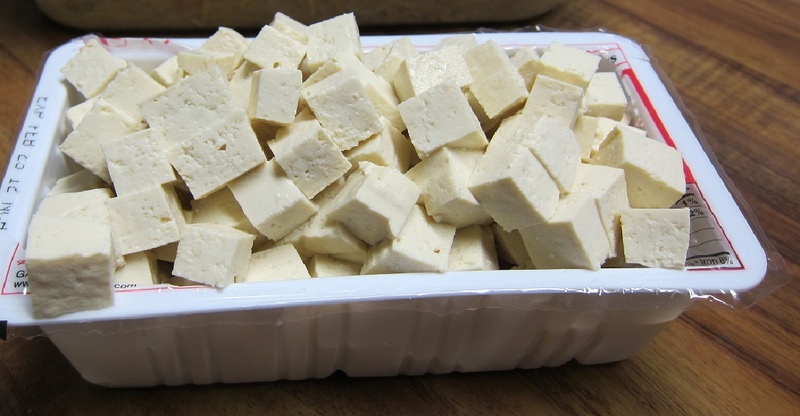 Prepare your tofu. Cut it as you wish: I cut mine into cubes. Prepare your vegetables. 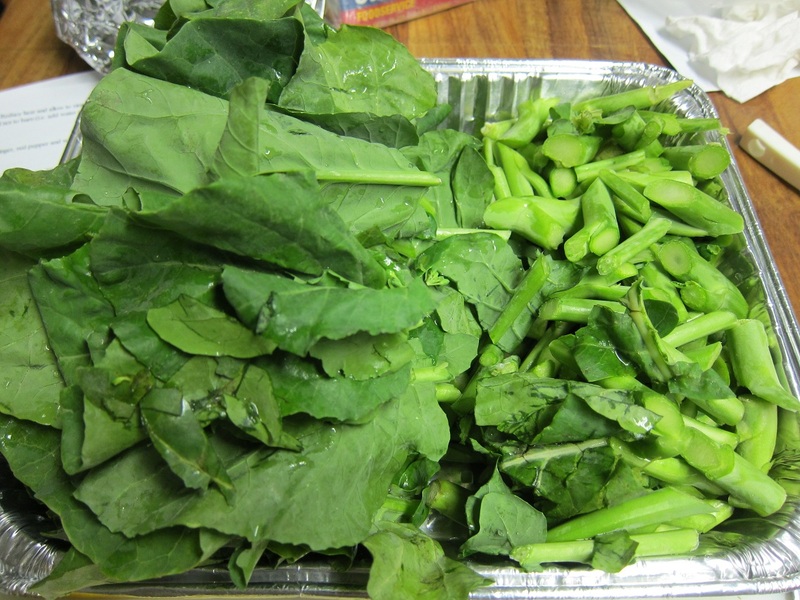 I cut the broccoli stems into 1″ or so pieces but left the leaves whole. If you’re using Chinese broccoli, separate the stems and leaves into two groups since it will take longer for the stems to cook. 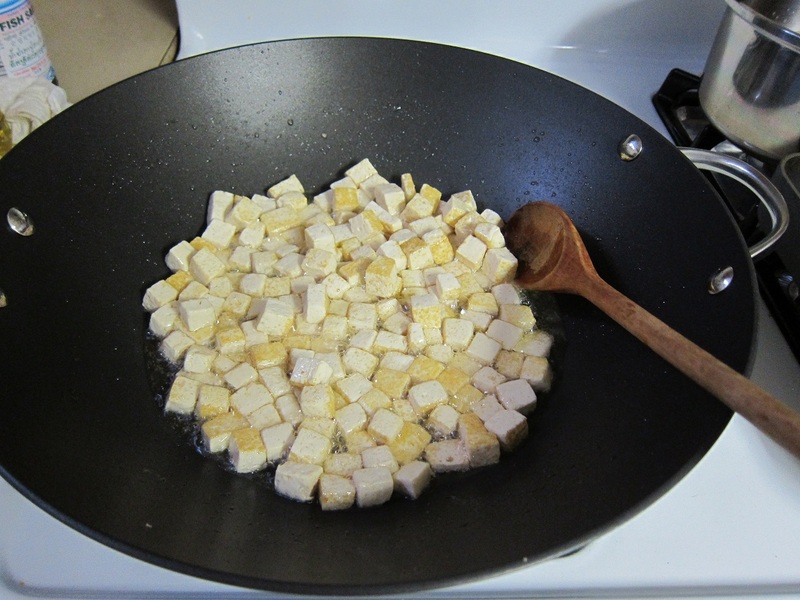 Heat the oil in a wok and add the tofu. 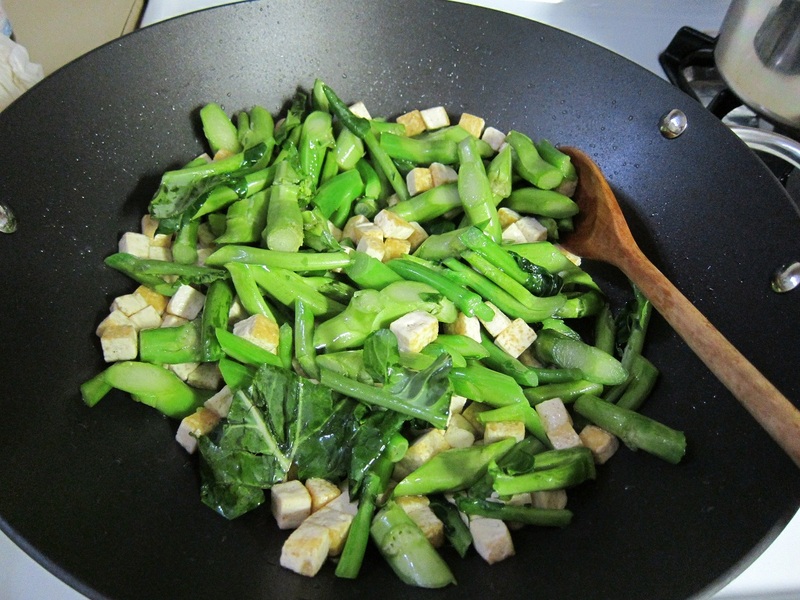 When the tofu has been browned, add the broccoli stems. 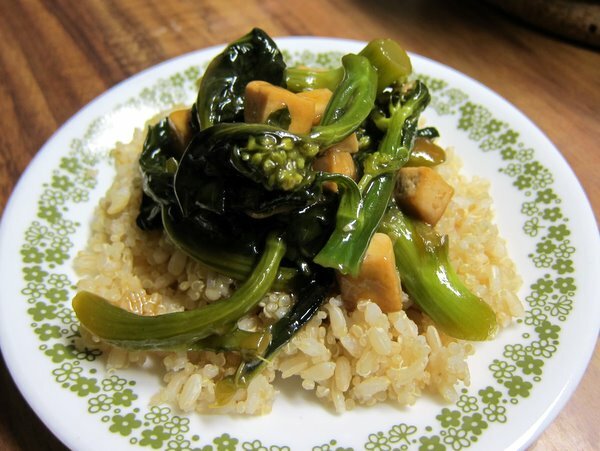 Once the stems are cooked–easily stabbed by a fork but still crisp–make another hole and add the leaves and florets. 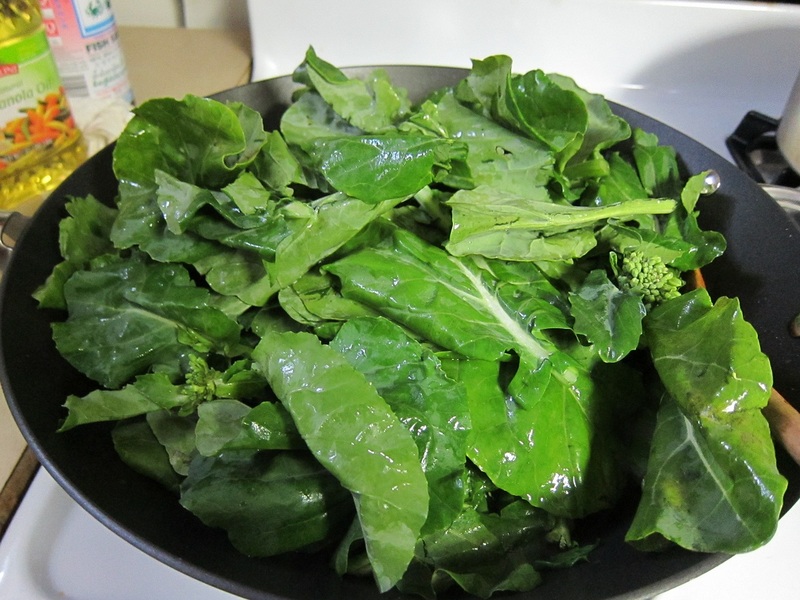 Once the leaves/florets are wilted, reduce the heat a bit, and add the sauce. Mix everything together. Make a hole in the pan and then add the corn starch to thicken the sauce. Once the sauce is of desired consistency, remove from heat. Serve the dish with rice or grain of your choice (I opted for a brown rice/quinoa mix). Your tostones would be a great complement to this!